The Lowe's Plant Guide is your source of plant and care information for all your favorite varieties! With over 12,000 types of plants, you can use this site to find information about a particular plant you purchased at Lowes or learn about plants that are right for your area. This Spring, transform your landscape and container gardens with vibrant colors and fresh foliage. Our Plant Guide and care instructions will help your garden grow and bloom throughout the season. 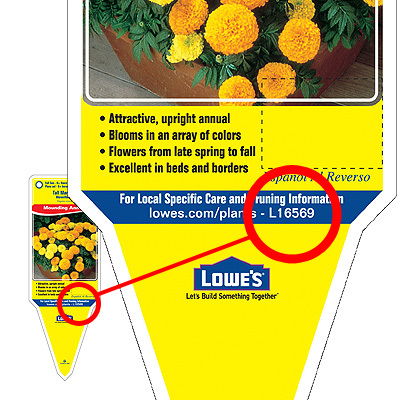 The easy way to find information about your plant. The easy way to add beauty to your landscape. Explains which zone you live in and why it's important.